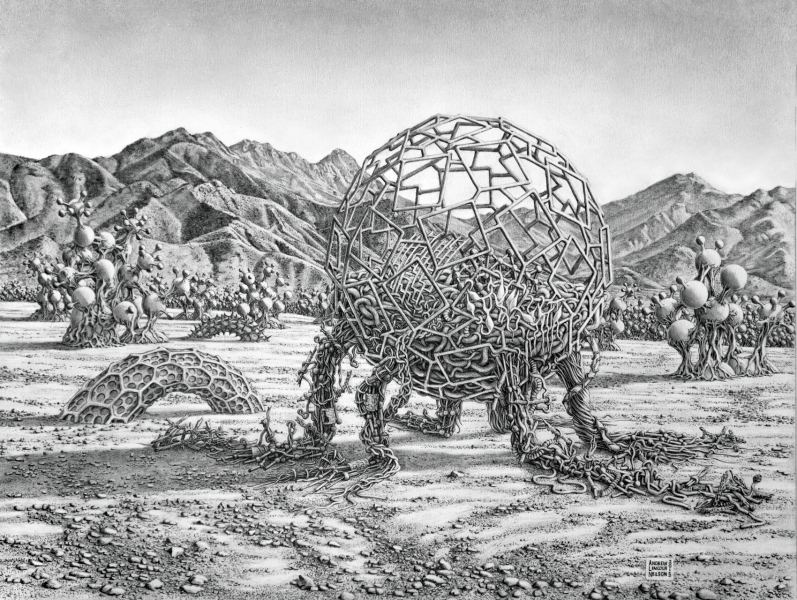 ANDREW LINCOLN NELSON is an artist working in Tucson, AZ. 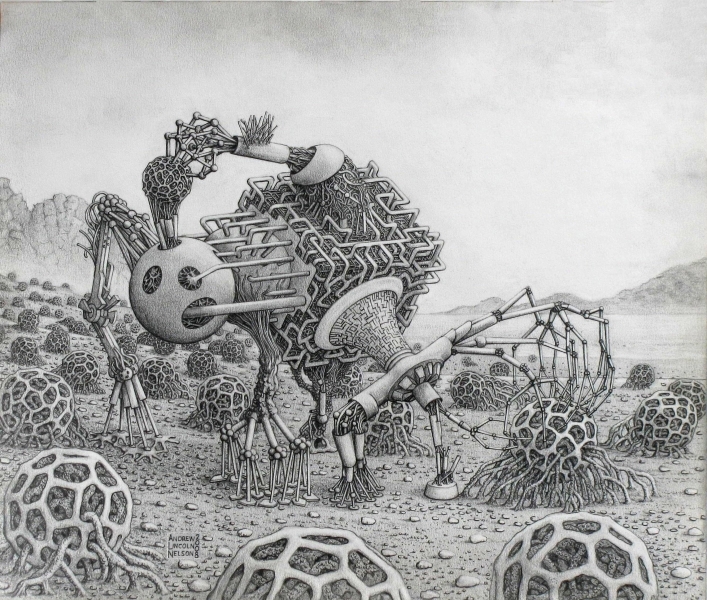 His art explores aspects of biological complexity and autonomous machines. 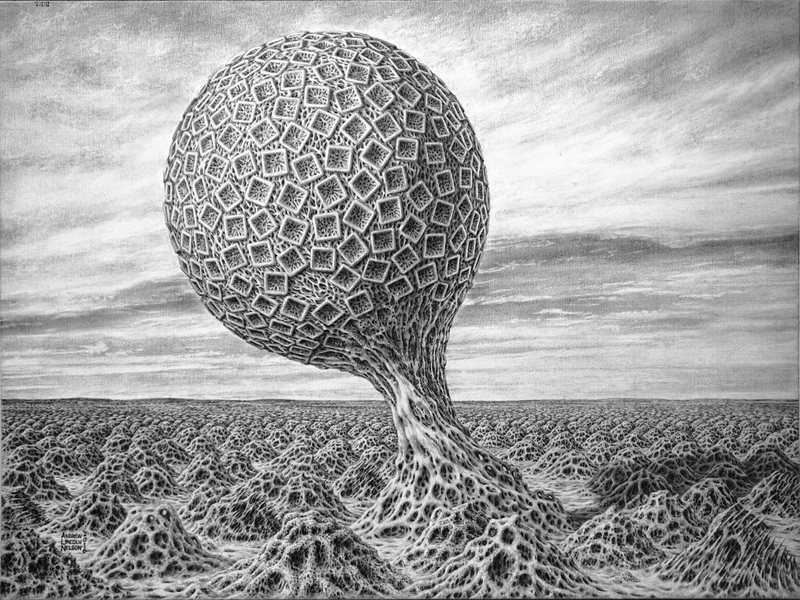 Math biology and artificial intelligence influence his artwork which includes surrealistic graphite drawings and mixed-media abstracts. 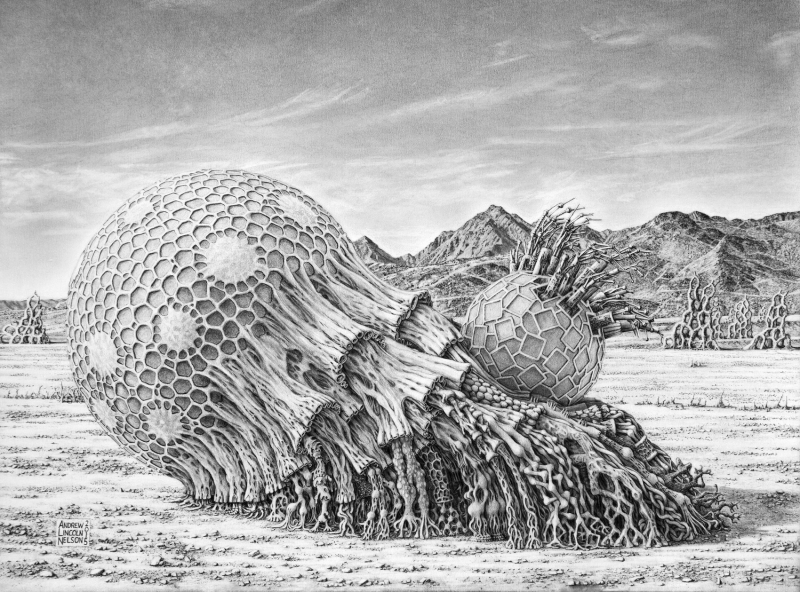 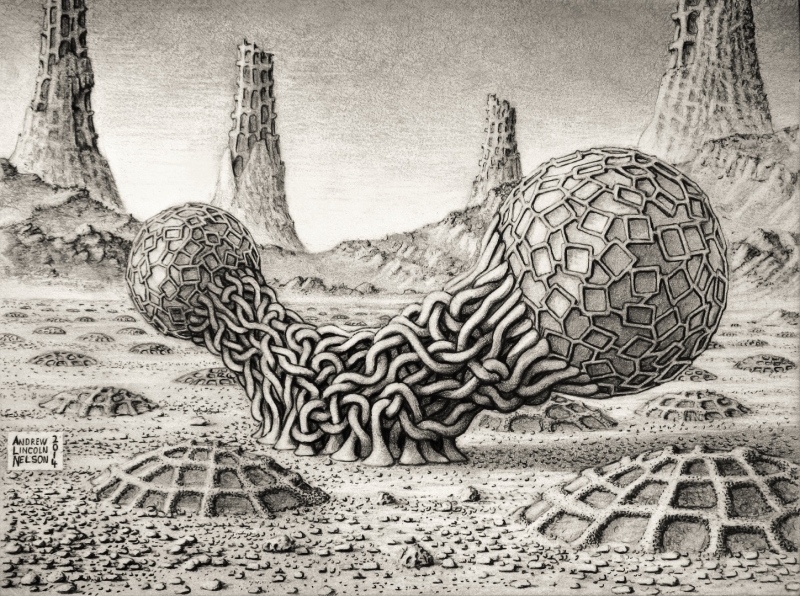 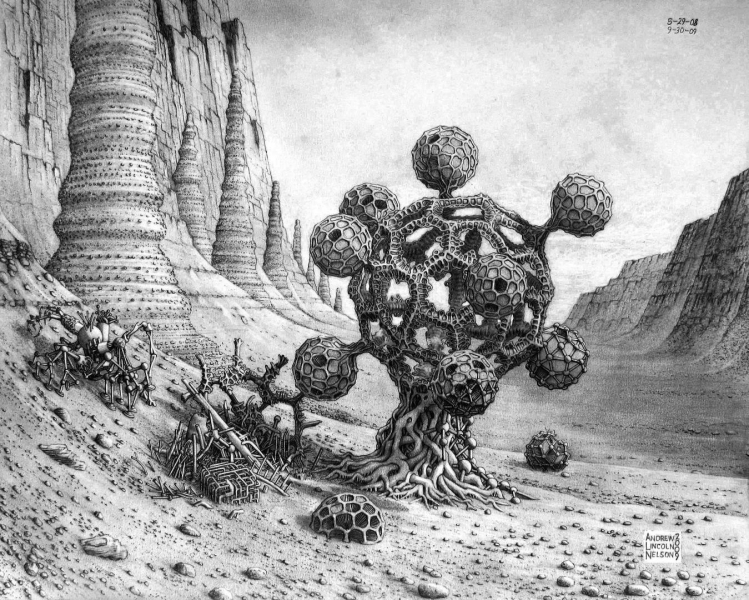 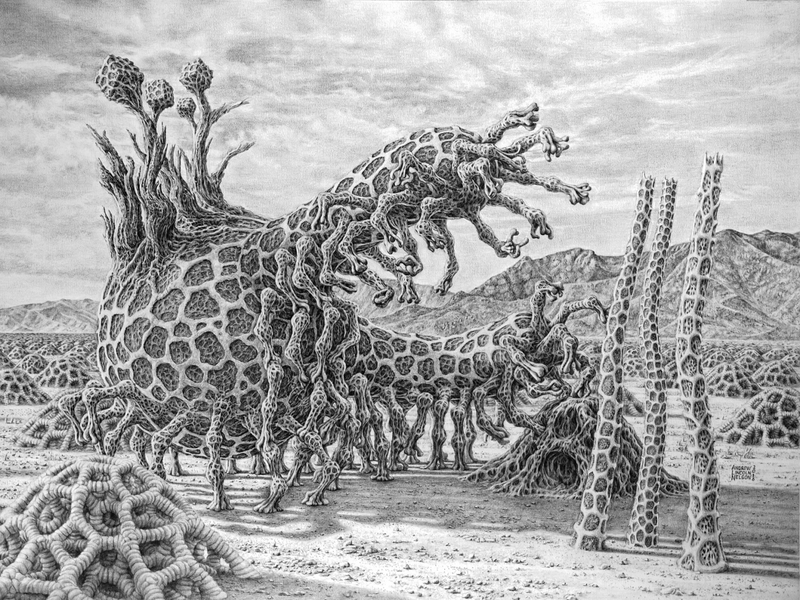 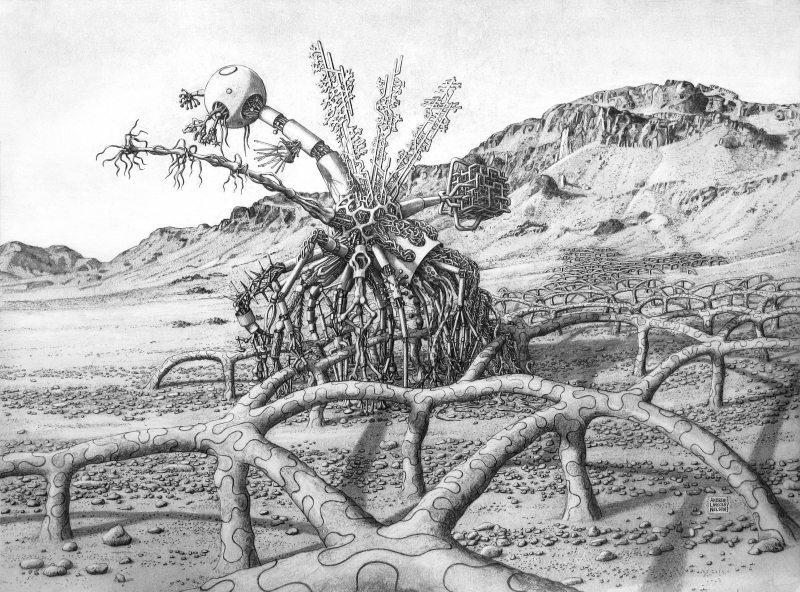 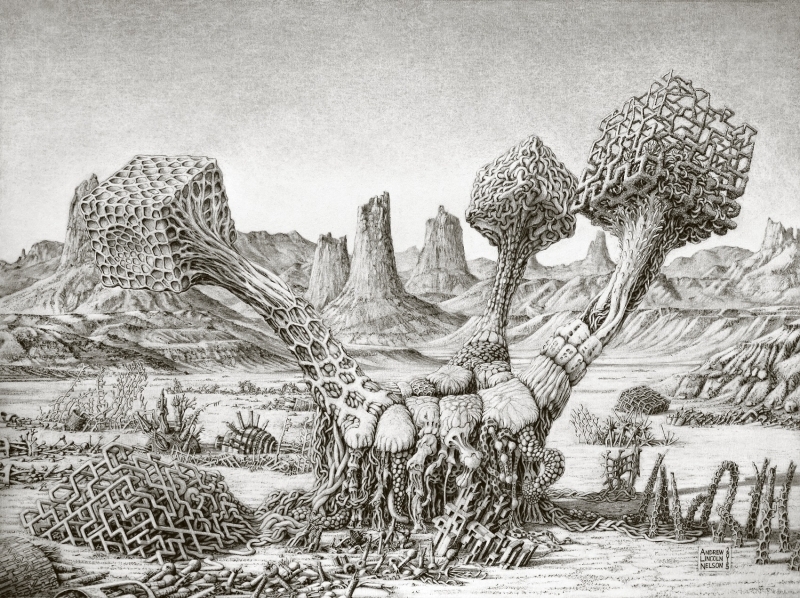 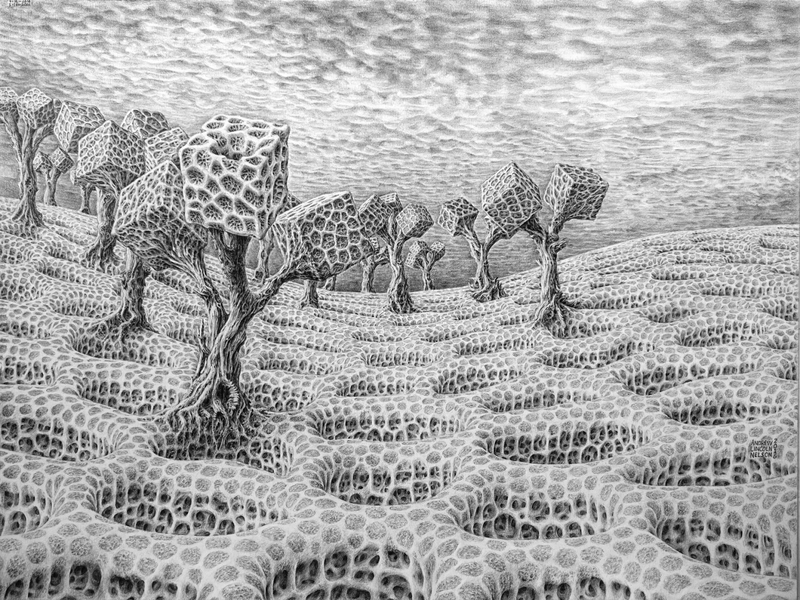 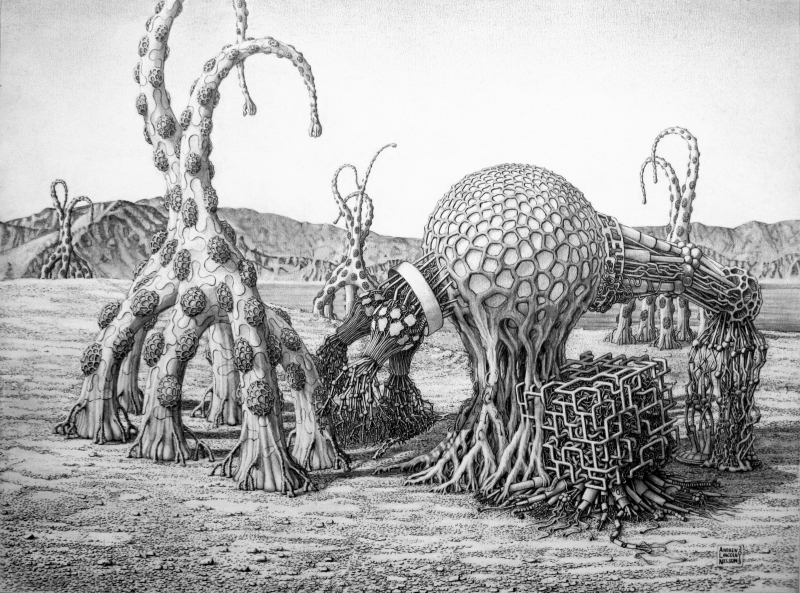 The drawings depict partially machine creatures in landscapes, some of which are Arizona vistas. 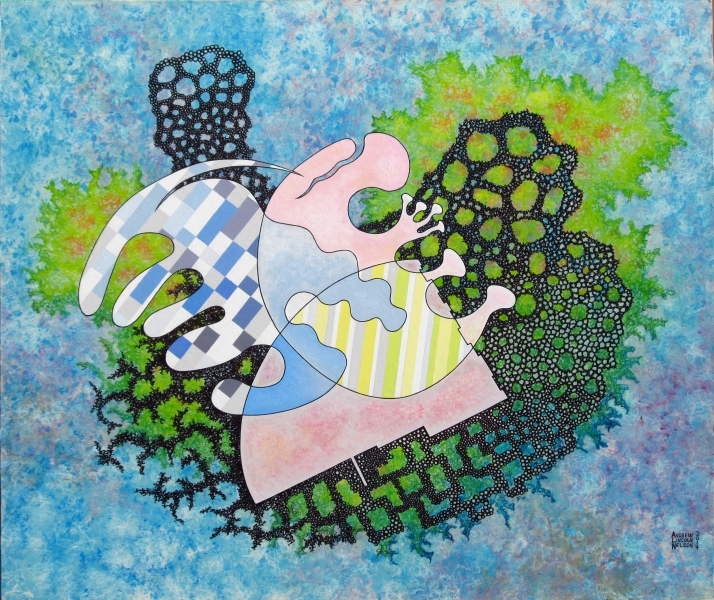 The abstract paintings combine complex organic structure with geometric patterns. 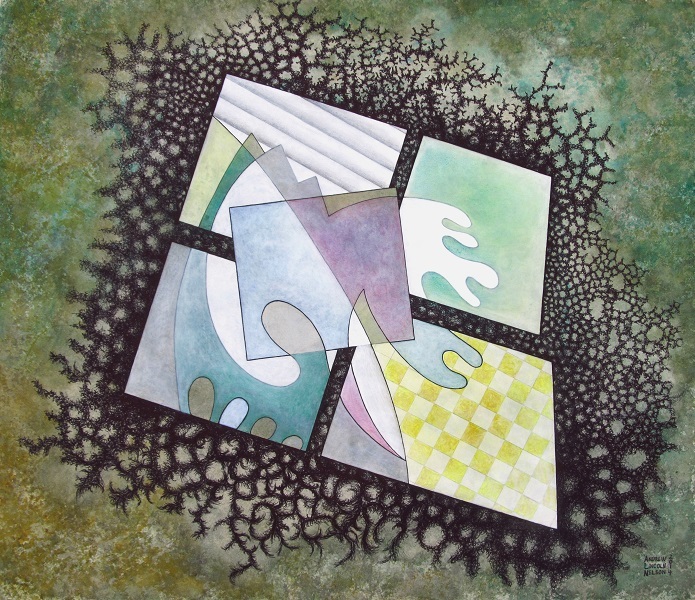 He has exhibited at the U of A Union Gallery and the Arts Speak event at the Tucson Museum of Art. 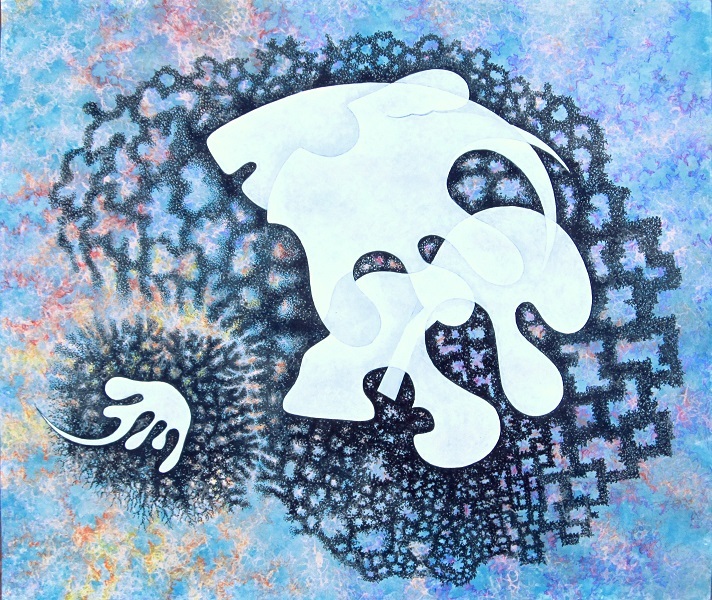 His work has been used in popular/scientific presentations, including a recent TED talk.